Hi everyone! I’m Jann Newton, from Newton Custom Interiors, where I blog about home decor, sewing and DIY projects. I’m very excited to be guest posting for Deby again! Today we’re going to finish up our series about PicMonkey. A few months ago, I guest posted here at Mom’s Make Money about taking better pictures for your blog. In that post, I talked a little bit about how I love to use PicMonkey to edit my pictures after they’re taken. PicMonkey is a fabulous photo editing program, that can help make your photos look the best that they can. It’s a free program, or you can upgrade to the Royale edition if you would like. The yearly fee is very reasonable. PicMonkey Part One – Basic Photo Editing – check out the tutorial from two weeks ago to help you learn the basic photo editing tools. PicMonkey Part Two – Applying Text and Overlays – check out last weeks tutorial about adding words and shapes to your photos. Today is part three of the series. Making collages in PicMonkey is very easy. I’ve made collages in PicMonkey for postcard mailings to clients, showing before and after photos, and also I made a large collage for the About page on my site. I’ve made a video showing exactly how I used PicMonkey to make the collage for my About page. Also, there are written instructions under the video. 2. At the top of the home page, click on Collages. 3. Click on the Layout button on the left side of screen, and choose which layout you would like to use for your collage. 4. On the left side of the screen, click on Images. Then click on Open Photos. Upload all of the pictures you would like in your collage. 5. Click and drag each photo over to the collage. You can edit the photos before you upload them, or you can hover over each picture and click on edit. 6. You can change the size of the collage at the bottom of the screen. 7. If you would like to add a seasonal swatch instead of a picture, click on the Swatch button on the left side. 8. Click on background, on left side of screen, to change the spacing of the borders, or change the color of the borders. You can also make the corners of the pictures rounded if you would like. As you can see, it really is very easy to make your own collages in PicMonkey. Give it a try! 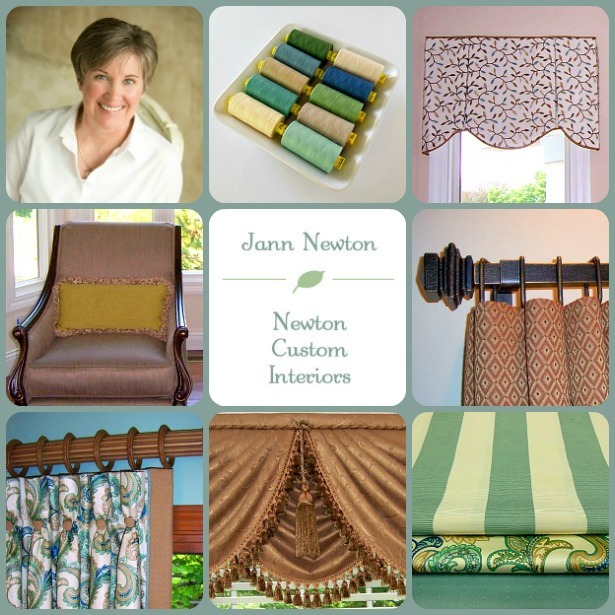 Jann Newton shares home decor, DIY and sewing tips on her blog, Newton Custom Interiors. You can find her at Google+, Pinterest, Facebook and Twitter. ‹ Free e-book Friday – One Income Mystery (today only)	› 2 Ways To Drive More Traffic To Your Site Through Your Content.